When it comes to health, I like to emphasize the positives of being healthy. There are so many things we can and should do to enhance our health and ultimately the quality of our lives. We know what they are—exercising, eating the right foods, staying happy and stress free, getting outdoors and getting some sunshine and sleep, and learning how to relax. With health we try to stay positive and emphasize the dos, but it is crucial to know the don’ts as well. Let’s start with smoking. Here is something that in only harmful and has no benefit. Smoking harms nearly every organ in your body. It causes many diseases and reduces your general health. Smoking is the leading preventable cause of death in the United States. According to the Center for Disease Control (CDC) in Atlanta, Georgia, cigarette smoking causes more than 480,000 deaths each year in the United States. This is about one in five deaths. More than 10 times as many U.S. citizens have died prematurely from cigarette smoking than have died in all the wars fought by the United States during its history. Smoking also can affect bone health. Women past childbearing years who smoke have lower bone density (weaker bones) than women who never smoked and are at greater risk for broken bones. It affects the health of your teeth and gums and can cause tooth loss. Smoking can increase your risk for cataracts and it is a cause of type 2 diabetes mellitus and can make it harder to control. 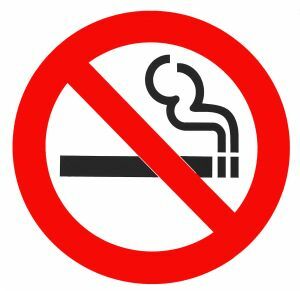 The risk of developing diabetes is 30–40% higher for active smokers than nonsmokers. Also it can cause inflammation and adverse effects on immune function. Smoking is a cause of rheumatoid arthritis. Plain and simple, if you smoke, and you aren’t one of the 1% of the population that has those great genes to combat the ill effects, your health will be harmed and you will die prematurely. You can’t smoke and be healthy. Another red line is the consumption of foods containing trans fats. These man-made fats were created by solidifying a polyunsaturated fat through heating and hydrogen. They help increase the shelf life of foods. Trans fats are found in margarine, products such as Crisco, and in the hydrogenated vegetable oil which is found in food products-including many of your favorite dairy-free desserts. BEWARE! These fats are hazardous to your health, and even if a product claims to be free of trans fats, it may still have some. Check the ingredients for hydrogenated or partially hydrogenated oils. 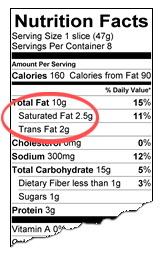 If you find that word, then the product contains trans fats regardless of what is stated on the label. And be aware that the latest research has shown us that the harm caused by trans fats is much worse than saturated fats. Trans fats raise your bad (LDL) cholesterol levels and lower your good (HDL) cholesterol levels. Eating trans fats increases your risk of developing heart disease and stroke. It’s also associated with a higher risk of developing type 2 diabetes. You can ask my children—when they were growing up and after the research became clear about eating cookies made with margarine, I told all of them—you may as well smoke. This is a big no-no! Spontaneous bacterial peritonitis is a form of peritonitis (inflammation of the membrane that lines the abdomen), which is associated with ascites. Other bacterial infections are also a common complication of cirrhosis. Hepatic encephalopathy (damage to the brain). Impaired brain function occurs when the liver cannot detoxify harmful substances, and can lead to coma. 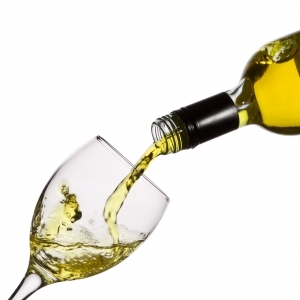 Depressions and Dementia are also possible results from over consumption of alcoholic beverages.